HOLOGRAM: Change one part and change the whole. Really!!! As a practitioner and teacher of the Resonance Repatterning® system I am looking for ways to share this wonderful energetic healing system for anyone curious about exploring it, experiencing it, or learning about it, either as a client or a student of the classes I teach. I was introduced to this in 1997 when it was called Holographic Repatterning. I was drawn to it because I understood that in a hologram each part contains the whole and that when we change one part of our lives it impacts all other parts, for example relationships, attitudes, health and every other area of our lives. On the larger scale it reminds us of the interconnectedness of all of creation in the web of life and how important it is for each of us to contribute whatever we can to the larger whole for the benefit of all. This includes our precious planet, which groans, waiting for us to step up and advocate for ALL of life. You can check the links I provide for further information on what Resonance Repatterning® is, how to register for classes and how to find a practitioner. Seeking Certification as a Practitioner? What questions do you have? Where do you need help? What kind of support do you need? As one of the Designated Observers I can help you find what you need and provide your Observations for feedback, encouragement and finally a recommendation to the Certification Board of the Repatterning Practitioners Association (RPA). This is a great explanation and introduction to Resonance Repatterning. If you have a chance to have a session with Jennifer, by all means, do it! I have known and been working with Jennifer for about 12 years now. She is a gifted and skilled practitioner. I have experienced miracles in my life. I believe you will too. Lori, after my very long hiatus from using, or even opening this blog, Carolyn has nudged me back into it. I am so appreciative or your kind words and your faithful journey in learning the miracles of Resonance Repatterning. We will keep learning together. Hi, Jennifer. I look very much look forward to it! 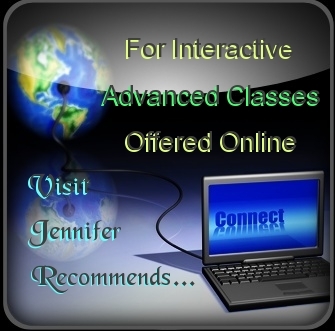 Jennifer, I’m excited to see you actively engaged in following your passion for Resonance Repatterning. You are doing great work in the world!!!! Thanks Ella. You are the FIRST to say you will be following this blog. I appreciate your encouragement and support. We are in this together!! Jennifer, I applaud you for getting your blog/website up and running! I will take the time to explore it more fully but the home page and video are excellent! I don’t know how to like your page, though, without creating an account at wordpress.com. Ideas? Hi Donna and Jennifer – small correction, not sure why but you do need a WordPress Account to ‘like’ a post a or a page. Probably when the posts get set up to also publish to Facebook, you and if you have a FB account, you ‘ll be able to ‘LIKE’ them there. I think it is for the purpose of promoting community and reducing unwanted spam. Jennifer – this blog is great! Thanks again Carolyn for your words of wisdom and your ongoing encouragement! Question: How do I add my ‘About Jennifer Johnson’ page to the menu at the top of the home page? Beautiful blog, articles, video – your gentle voice comes through the written words in your special & unique way. I look forward to reading more and sharing this with friends. Love and congratulations! Hi, Jennifer. I love your site. I congratulate you on overcoming the challenges and pushing through with this. I look forward to future postings! Jennifer, Thank you for extending yourself to the wider world audience. I love your easy, gentle explanation to Resonance Repatterning. It helps to simply see how this work can and will impact one’s life in unexpected ways. For me your presence in my life has been life changing. As a Student Practitioner and Client I now have tools to navigate life’s twists and turns – spiraling up to a more life enhancing journey… Thank you thank you thank you. Thank you, thank you, thank you Norma! I love the ‘team’ that we are building together. Yeah!